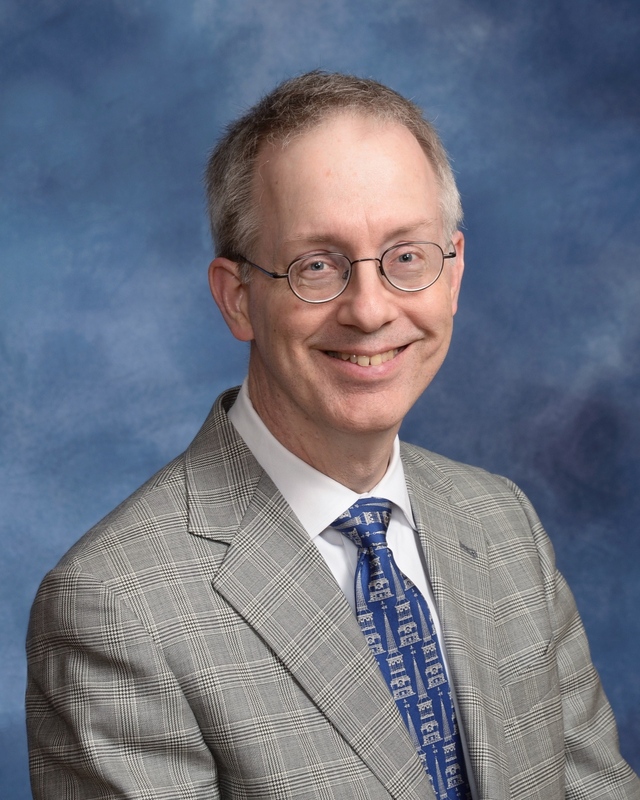 The Virginia Conference lists 1,060 clergy under appointment full and part-time. Together we serve the 1,205 churches throughout the state. On Wednesday, June 29, between 100 & 200 clergy and their families will load all their personal belongings into a moving van and travel to their next pastoral appointment. Some will travel to large multi-staff church communities, others to rural congregations; all go in hopes of joining Christ in faithful ministry. Across the Conference nearly 30 of our clergy will try to adjust to being retired. They will feel a bit strange when Sunday rolls around and they find out what life is like in the pews… again. This year nearly two out of every 10 churches of the Virginia Conference will receive a different pastor. On Sunday, July 3, fifteen new pastors to the Arlington District will arrive in their churches prepared to work at making disciples for Jesus Christ. Those churches will swell in attendance as active and inactive members turn out to check out the new pastor or new associate pastor. 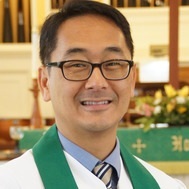 The Arlington District will see Trinity’s former associate pastor, Eric Song, and his wife Heather, return to the District. Eric will serve Good Shepherd UMC on Hunter Mill Road in Vienna. Our District Superintendent, Cathy Abbott, begins her fourth year of leadership of the Arlington clergy and laity. Ellen Fillette receives her first appointment in June to Centreville UMC as associate pastor. Nila Curry and Lauren Michelle Stevens return to Trinity as Wesley Theological Seminary interns. Eileen Gilmer will continue her studies at Wesley Theological Seminary. On another joyous note: Reverend Keith Lee and Elieen Gilmer return as associate pastors. Keith renews his spiritual leadership for our youth, the Education Committee and Young Couples. 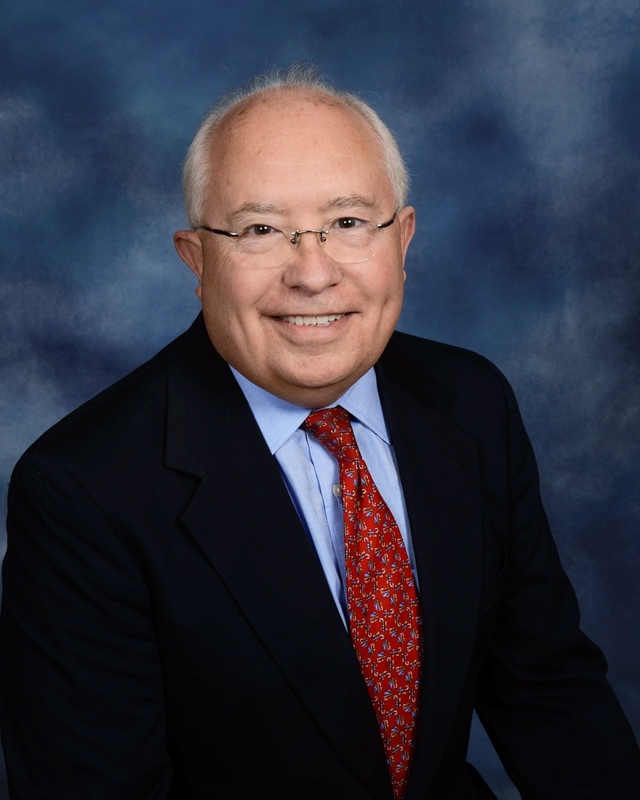 He is an Elder in the Virginia Conference and has been clergy since 1994. 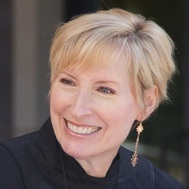 Eileen renews her spiritual leadership as pastor of Outreach and Communications. She is a Local Pastor in the United Methodist Church and continues her seminary education in this summer. Eileen and Keith join me, Jerry, Harriet, Jose, Brooks, our lay leaders: Jose and Leslie, and all the Trinity family as together we make disciple for Jesus Christ. Did you make a New Year’s resolution? Maybe you resolved to work out more, read more or cut down on screen time. How’s that going? I think we should start a new trend: a mid-year’s resolution. What’s the point of rushing into things? Give yourself a good six months to see where the year takes you. I invite you to make a resolution centered on prayer. Pray for discernment. Pray that God will open our eyes to see the other side. Pray for the wisdom to keep our mouths shut until we understand why the other person acts/speaks/thinks a certain way. God whispers to us in our pleasures, speaks in our consciences, but shouts in our pains. Pray for the ability to hear that small (and sometimes not so small) voice. Pray that God’s sensibility will rise above the din of our cries for help or attention. Pray for the confidence to know that we succeed because of God’s grace and power, and not because of our own race to selfish gain. Pray that God will empower you to have so much faith that you are fearless. Pray for the courage to trust God fully and completely, at all times and in all situations. Pray that God will enable you to willingly give up the need to be in control. How about if we make a pledge? I’ll pray for you, and you pray for the clergy and lay leaders here at Trinity. Please pray for our greater United Methodist Church, and all the Methodist churches around the world. We need it. Prayer works. Prayer strengthens. Prayer is how we talk with God. At the end of June, it will be one year since my appointment began at Trinity. I’m thankful for all the support and encouragement from staff, leadership and congregation! I look forward to another year of wonderful ministry together. Below are some important dates for Youth and Children’s Ministry. Please note for Children’s ministry we will hold classes through the summer. All the teachers will be on break from regular teaching while Lauren Michelle and I along with volunteers will continue to hold classes at 9:30 and 10:30. We have not determined the curriculum but we will utilize more storytelling, arts, songs, games, and dancing to move away from a lecture-class format. Many of the teachers have already incorporated these elements into their classes and have shared with me their effectiveness and ability to engage students. I like to think of the changes as having a ‘summer school’ atmosphere. I remember as an elementary student, regular school hours were filled with homework, tests, and lectures while summer school hours were about art, games and engaging activities. I was looking forward to waking up the next day so that I could go to summer school! Summer children’s ministry might not be that dramatically different but I would like to try something new. Usually during summer, attendance drops because of travel and vacation plans. However, we will continue vibrant Youth and Children’s Ministries for the summer. Please make plans to join us for an engaging July and August. June 5: Senior Night-an evening to celebrate graduating seniors at Trinity, 5 p.m.
June 5: Ice Cream Social and Bike Parade, 3– 5 p.m.
June 5: Ice Cream Social & Bike Ride, 3—5 p.m. The Trinity Book Chat had a great season, and we’re now “on vacation” until September. In the meantime, we’re looking for ideas! Please email Kathy Maher by Sunday, June 12, if you have any book suggestions or would like to be added to our email list. We congratulate all of the 2016 graduates from among Trinity’s members. These individuals have earned high school diplomas, undergraduate and graduate degrees from these fine schools. To volunteer, contact Jen Calsyn or Marci Thomas. Registration forms are available in Sunday School classrooms, in the Narthex, and on the church website. During the months of June and July, we will collect for Share. Share is a food pantry and family assistance program established in 1969 by several faith communities. Today, Share serves hundreds of local needy families over the course of a year and are supported by a network of 24 faith communities, several schools and local businesses, and tons of individuals! Share is completely volunteer run so every dollar and every donation goes directly to the clients! Please visit http://www.shareofmclean.org for more information. Please place all donations in the 2 bins located in each Narthex entryway or in the bin in Fellowship Lobby. Thanks to all the volunteers who showed up for Trinity’s Good Works Day in April, Crafts for a Cause has a mountain of comfort pillows, sock dolls, surgery dolls and bears to send to Fair Oaks Hospital to comfort patients of all ages. We also have about 50 cotton dresses to send to needy girls in Uganda. Thanks to everyone who participated! In case you’re wondering, the comfort items we send to Fair Oaks every month include neck pillows and lap blankets for patients receiving chemotherapy, arm pillows for breast cancer patients, surgery dolls for children having procedures, knit caps for newborn babies and sock dolls for siblings. 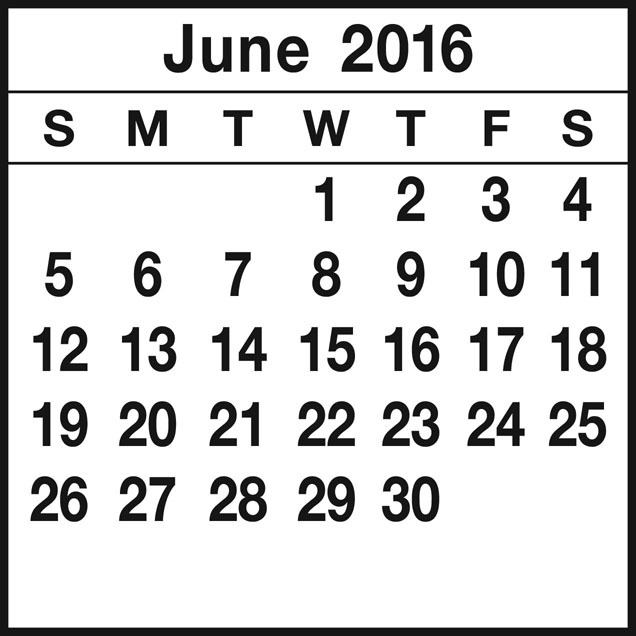 During June, Crafts will meet on alternating Monday nights from 7 to 8:30 p.m. on June 6 and June 20. The Wednesday morning sessions have been suspended until the fall. Everyone is welcome to come help make the comfort items we churn out every month; no skills required, just willing hands. For more information, contact Molly Sprouse at mollysprouse@gmail.com. Join Dan and Chris Moore in mission service to The Leadership Center in Honduras this July. The Leadership Center is about 2 hours from Tegucigalpa in a safe and beautiful rural area. There are 30 young women at TLC, living and learning together as a close knit community. High up in pine covered mountains, the large campus is rustic but comfortable. TLC educates, trains, and develops a next generation of ethical leaders for Honduras by providing exceptional academics, hands-on leadership and entrepreneurial opportunities to young women from underprivileged families. It is the leaders who graduate from The Leadership Center that will enable long-term, sustainable solutions in their communities and Honduras. A mission trip experience to Honduras will be a wonderful, rewarding experience that will seriously impact your faith journey. We will work with, mentor and teach these beautiful young women who will inspire you. We will be in daily and continuous fellowship together. You will have a wonderful cross cultural experience and build memories that will last forever. Come meet and spend some time with the three young women that Trinity sponsors at TLC. They are so appreciative of our support and would love to meet you! For questions and information, contact Dan (703-980-5050) or Chris ( 571-215-2948). The website provides more information as well: http://leadershipmissioninternational.org/. Choral music is not one of life’s frills. It goes to the very heart of our humanity, our sense of community, and our souls. When you sing, you express your soul in song; when you get together with a group of other singers, you become more than the sum of those parts. People pouring out their hearts and souls in perfect harmony symbolize what we need when so much of the world is at odds with itself—a model of human beings in harmony—a lesson for our times and for all time. Musical excellence is important; but even a choir that is not great has a social and communal value. A church or school without a choir is like a body without a soul. Everybody who has sung in a choir tells me that they feel better for doing it. Whatever the cares of the day might be, meeting after a long day to sing lets you leave your troubles at the door. When you’re making music, that’s the only thing that matters at that moment; you walk away refreshed, renewed—and that’s a value that goes just beyond the music itself. As a musician, I naturally put music at the heart of it; but these other values stand out as a beacon. I think our politicians, our educators, and our budget-makers need to remember that choral music is not a frill. It is like a great oak that rises up from the center of the human race and spreads its branches everywhere. That’s what music does for us; and choral music must stand as one of the supreme examples of it. 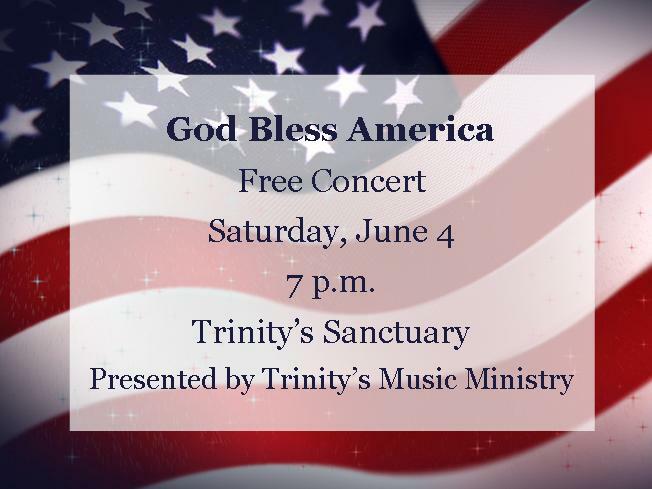 As we head into summer, please keep in mind that Trinity’s choir meets every Sunday morning at 10 a.m. to learn an easy anthem for that day’s 10:30 a.m. service. We would love to have you join us!